Full-screen ads invade the Windows 10 lock screen, but you can turn them off. With more than 200 million systems running Windows 10—many of them having upgraded from an earlier version for free—Microsoft has decided it’s time to monetize the lock screen. Over the past few days, Windows 10 users have reported having their lock screens taken over by advertisements for Rise of the Tomb Raider. Microsoft started selling the game through the Windows Store last month, in what might be the start of a much bigger push into PC gaming. Microsoft hasn’t hid its intentions to use the Windows 10 lock screen as a commercial billboard, having first discussed its plans during last year’s Build developers conference. Now, Microsoft appears to be making good on those promises, with How-To Geek’s Chris Stobing and at least one Reddit user having seen the Rise of the Tomb Raider ads themselves. 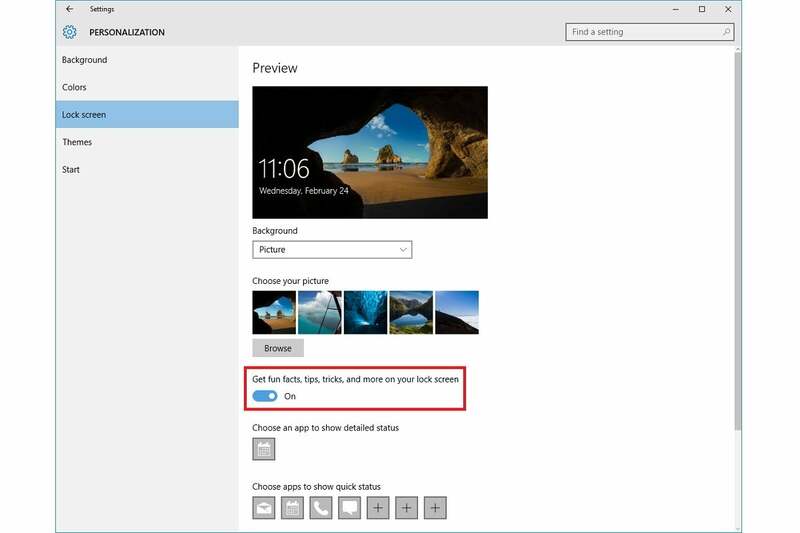 Keep in mind that the option to disable the ads only shows up if you have selected Picture or Slideshow under the Background section of lock screen settings. If you’re using Windows Spotlight, which routinely refreshes the lock screen with images from Bing, ads are presumably part of the deal. Why this matters: The lock screen is one of several ways that Windows 10 isn’t exactly free. From Start menu promotions to subscription-based games to personalized ads in Bing and the Edge browser, Microsoft has plenty of money-making hooks built into its latest OS. Most of these can be avoided or disabled, including the new lock screen promos, but with hundreds of millions of users upgrading to Windows 10 (whether they intended to or not), Microsoft is banking on the notion that most people won’t be so proactive.